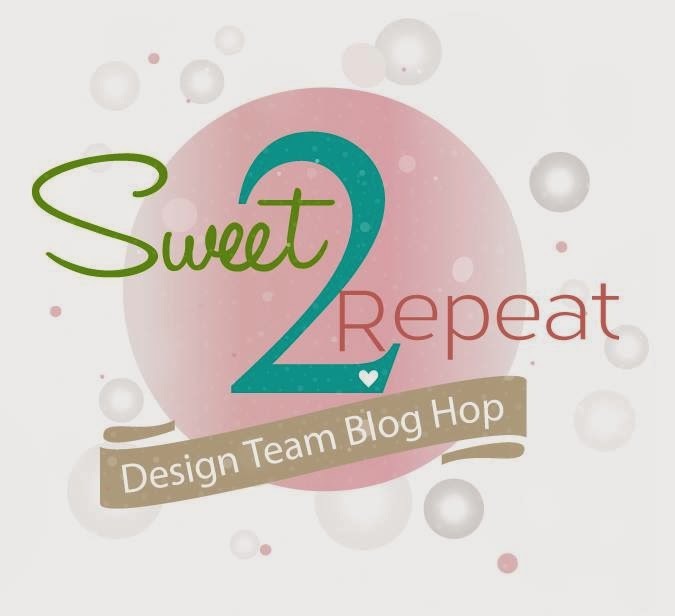 Welcome to the Sweet 2 Repeat Blog Hop for September! The new release from SugarPea Designs is available NOW – but the inspiration is still rolling on! Today the ProjectPea team are bringing you their sweet take on the cutest stamps around. 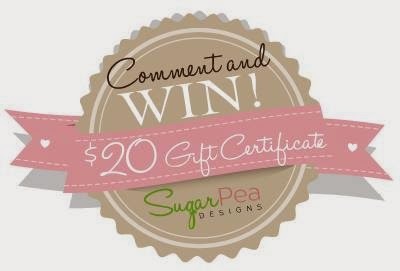 You’ll want to hop along, because one lucky commenter will win a $20 Gift Certificate!!! Leave a comment for each designer to maximize your chances to win! Winner will be announced on Tuesday, September 23rd. For my card today, I used this ADORABLE little bear from the set Teacher's Pet. I stamped the image with Memento Tuxedo Black, colored with Copics and cut it out. I used the MFTWSC194 for my layout and the dp is Simple Stories Smarty Pants. Love that sweet bear! Love the colors & the layers. Adorable!!! What a sweet and well colored card! Very cute card - love the stitching. You did an amazing job! I love the colors! What an adorable bear!! I love the plaid paper in the background! Great card! What a sweet card! I love your coloring and choice of patterned papers! This little guy is so sweet! Love the plaid and how you colored the backpack, so sweet!!! I ordered this set...think it's great! Love your colors, so bright and cheery. Super sweet, love your fab coloring on that cute bear!!! Such a cute little bear. Great papers and layout. Placing him on the tag was a great idea. So Sweet 2 repeat with a prize! 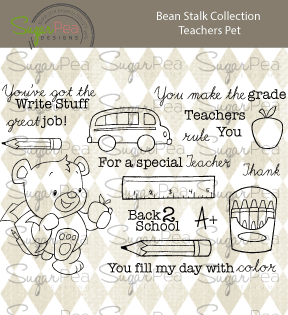 As the wife of a teacher, I love these school sets -- what a cute little bear, so proud to head off to school! Cute card! Adorable card. Love how you colored the bear and the papers you used. He is such a doll!! I really love the papers and layout you used here, super cute!! Adorable! Love that plaid paper! That bear is Too sweet! Super cute - love the little bear. What a cute, sweet card! Love the coloring and layering! He's the sweetest little back-to-school bear! It makes me miss when my kids were little! So cute, such a cute image and super cute card!!! He is is adorable!! Cute card!! I really do love this stamp set. As a teacher, it would be fun to stamp some of these images on students' work. Love how you colored the bear. Very cute bear image...love the mounting on the tag and design of the card. Wish I had little ones that I could use this set for. Thanks for sharing a cute card. What an adorable bear!!! Wonderful card! That bear is so adorable! I love your little tag! Such a great back to school card! Super cute! The bear and the school bus in this set is super cute! So cute! 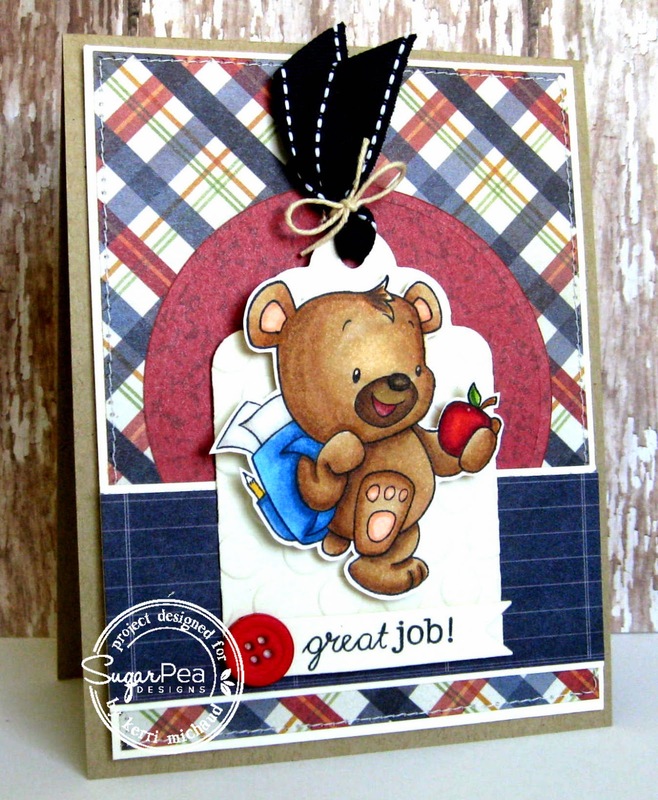 I just love that little bear and the coloring is wonderful! Kerri, this is darling! Love the layout! My gosh - he is so cute, he looks so proud of himself! Great new release!!! !